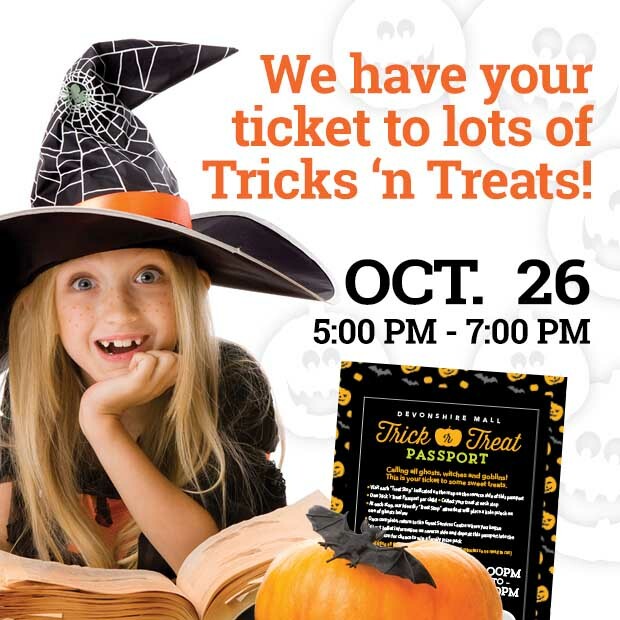 Children can enjoy Trick or Treating inside Devonshire Mall this Halloween season on Friday, October 26, 2018. Kids are invited to pick up a Trick ‘r Treat Passport at the start/finish area located at the Guest Services Centre, and enjoy some wicked halloween fun and a chance to WIN great prizes! *While quantities last. One Trick ‘r Treat Passport per child.